Shpock gives you the power and freedom to sell and buy any item you like. You can turn your unwanted but desirable items into ready cash, and de-clutter your house, without the charges that most other apps, websites and services add on. We decided to dramatically truncate the Shpock experience into a single inter-dimensional *zap* that shows how Shpock can help both buyer and seller. Our central character discovers she has this power at her fingertips – and so it becomes moreish. She tidies her room while collecting money for a lovely large purchase. We also see a young buyer upgrade his quiet life with the high-end means to play some vinyl, and a friendly neighbour pick up a shiny car at a bargain price. 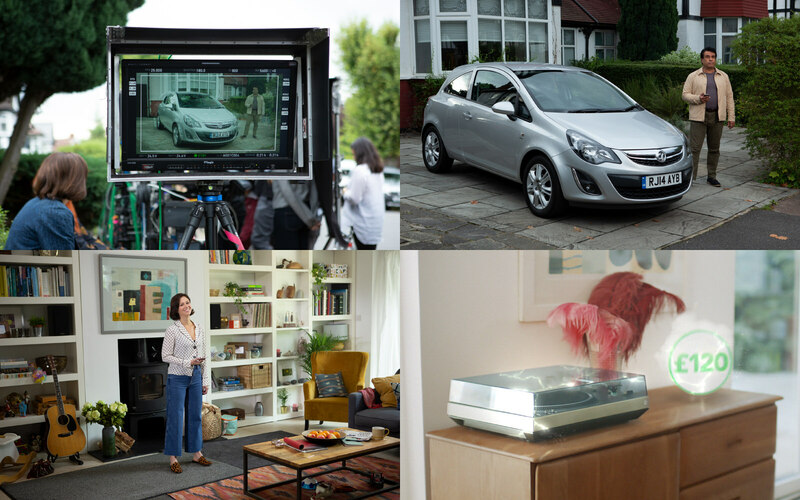 The spots added well-needed production values for a UK audience, superceding Shpock's exiting (and ubiquitous) content. The storyline enabled us to introduce a behaviour, splashes of the Shpock green and most importantly a new identifying sound for the action of selling. As the media spend was high – with placements throughout daytime and nighttime scheduling – we created two further bespoke cutdowns to target the youth and car markets specifically around segmented programming.